Since our very first performances in 2001 the dance: made in canada / fait au canada platform has been driven by our mandate to present a cross-section of cutting edge contemporary Canadian dance and we have experienced continuous growth; presenting eight curated series featuring 15 Canadian companies. So, today we are thrilled to present the new festival-format: Over four days in August you will have the opportunity to experience works programmed because they have something to say that – we hope – will shake up your world and make you see or appreciate a different perspective. It has been a pleasure for Yvonne to work and curate with two immensely talented guest curators, Peggy Baker and James Kudelka, selecting three MainStage Series presentations that showcase some of Canada’s most inventive and imaginative creators, artists who are blurring the lines that demarcate dance from other disciplines. We’re also very excited to see the intriguing offerings of our lottery-drawn What You See Is What You Get series. Finally, we encourage you to plan a little extra time to enjoy our free Arts Encounters Programming that features multi-disciplinary interpretations of dance made in Canada. Inspired by Betty Goodwin’s Swimmer Series and the painting Elle a perdu son équilibre, Marie-Josée Chartier created La Lourdeur des Cendres with the collaboration of Strauss and Tracy – emphasizing the movement of diagonal arms, the weight of one body leaning on another, and the idea of the body as a broken and heavy form. Choreographer D.A. 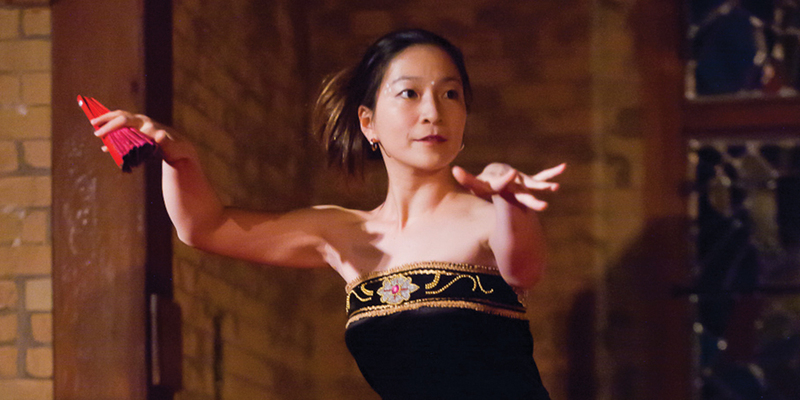 Hoskins collaborated with Jung-Ah Chung through the heart of a rainy Toronto summer in 2009. Looking at solitude, home and history, Excerpts from a Wet Summer acknowledges a time of reflection, and a passage of experience that we carry on our skin and within our beings. An interpretive exploration of the traditional Balinese dance style in which women perform in a male style; Ninomiya embodies – in balance – strength, power, coquettishness and charm with a Balinese stylistic emphasis on facial expression, and hand and eye movements. Diving headfirst into the memories of a turbulent Vietnamese past and upbringing, Caldwell underscores the eternal search for answers in Ash Unravel – a rumination on living after experiencing death. … When the bodies of loved ones and the destructive aftermath of war leave only ash on the earth – what’s next? A duet inspired by images and stories from survivors of the 2004 tsunami in South East Asia, Self Less explores our relationship to identity and place in the wake of disaster. Unmoored from memory, two people struggle to evoke intimacy in a world where familiarity and routine have become mere debris. 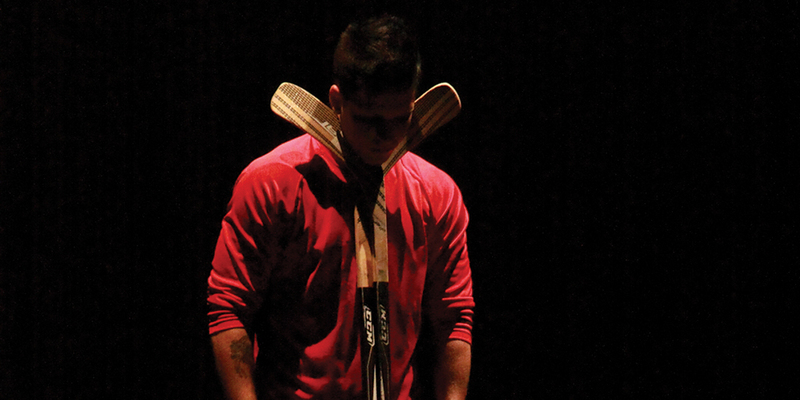 Motivated by Beamish’s childhood growing up as a male dancer in a small-town environment, Tools for Cutting uses skates, snowboards, sticks and goalie pads to examine, exaggerate, and investigate the relationships between men and sporting equipment. Lina Cruz’s work is the result of an unbridled imagination. Cruz always manages to place her work on the margins of mainstream dance, hyper-stylized yet strangely organic, extravagant, mischievous and pleasantly unsettling. Informal chats with the artists following their performances. 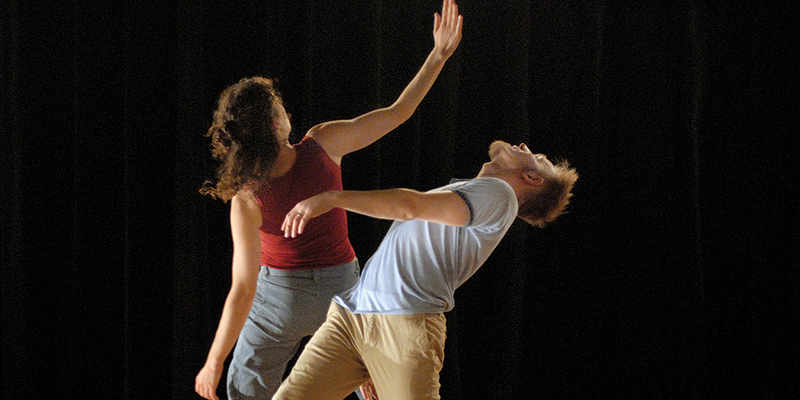 A selection of Canadian dance films will be screened including Jacob Niedzwiecki. Throughout the festival the photography of Kristy Kennedy will be exhibited in the lobby of the Betty Oliphant Theatre. Toronto’s Summer Intensive Programs come together to share selected repertoire from celebrated choreographers.